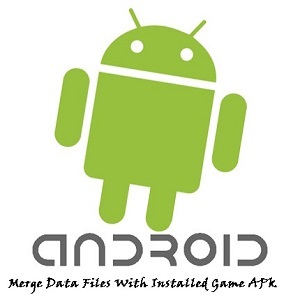 If you want to Merge Data Files (Files and Cache) to your existing games, to get unlimited money, lives, gems, coins, ammo, or you want to get solved levels, then you either need Mod version of the game or you have to get data files of that game, so once you have data files you simply have to merge them and you will have unlimited money, lives, gems, coins, ammo, or you can also have solved levels, you may see this video, so that you will under stand how to merge data files with installed Apk, and how these data files will help you to get modded game. You should have the desired Game installed on your Android phone. If you have Apk with Obb and you don,t know how to install Apk with Obb, just click on the link. Now as you have the game installed on your Smart Phone, simply go to Storage<< SD Card<< Android<< Data. In Data folder you will see a folder for the installed game, simply copy and paste downloaded data files to this folder, and overwrite existing file. If you don,t understand this, simply watch the video given above and Follow the steps. You are done, Enjoy Moded Game.